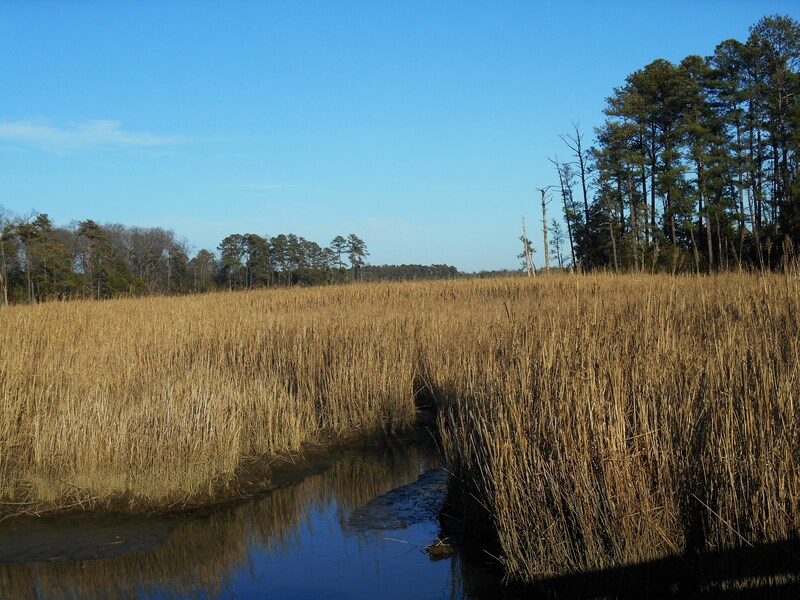 A secluded marsh on Jamestown Island. Do you see the orbs? 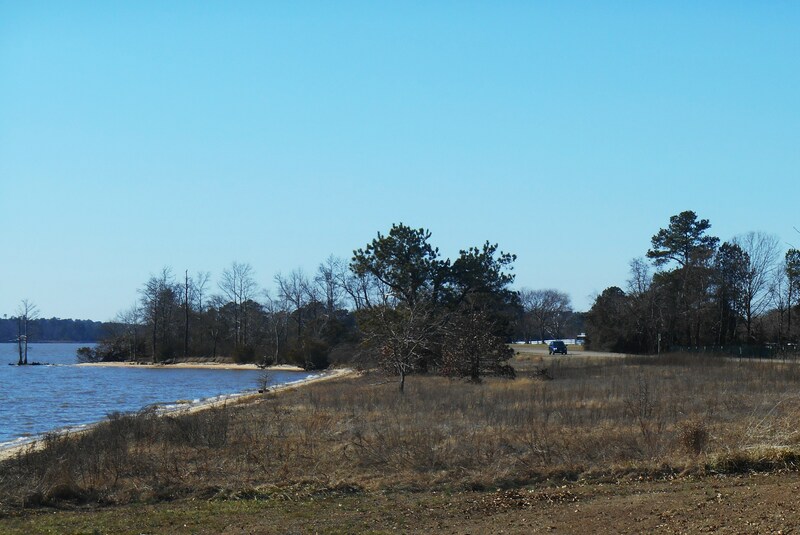 We took a ride on the Colonial Parkway again yesterday since it was such a gorgeous day. A federal holiday in the United States, we had spring like weather, clear skies, and a brief respite from winter. Sunny and 63 degrees, it felt like spring, though we are still deep in January. With schools, banks, post offices, and government offices closed, many could travel to enjoy the three day weekend. The Colonial Parkway had a busy, vacation time feel, with more visitors than we’ve seen in a very long time. The best fishing spots were occupied with happy anglers. We were out, again, looking for birds to photograph. We had seen so many on Sunday, we were sure that we’d find many more in the far warmer weather on Monday. But that was not the case. Where have the birds gone? The eagles’ favorite trees were empty, as were their nests. 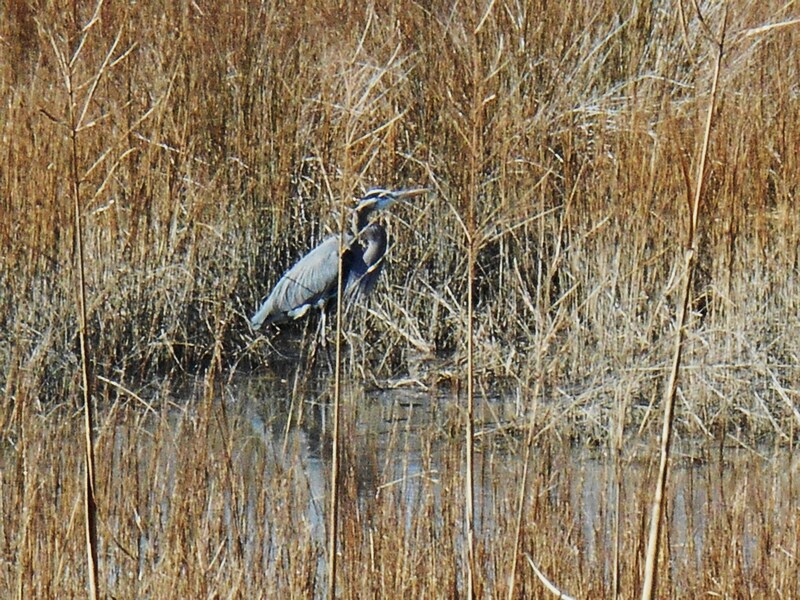 This heron wading on Sunday was no where to be seen by Monday. All the favorite eagle perching trees were empty, and we didn’t see them in the sky. The nests looked abandoned. No Great Blue Herons waded in the shallows, and no Black Vultures gathered around the deer carcass still lying beside the road. We did spot two perched companionably together in the top of a nearby tree, but the great gathering had dissipated. 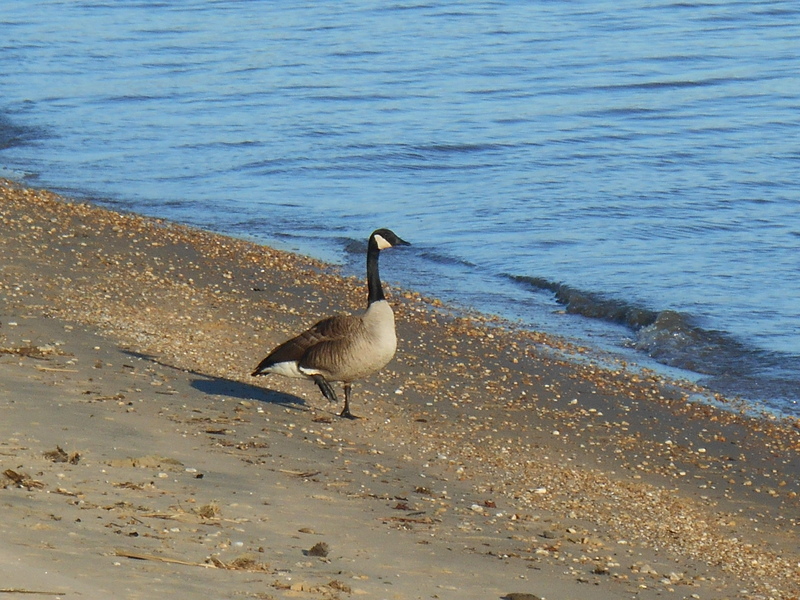 Only a few brave Canada geese grazed near the river on Monday afternoon. 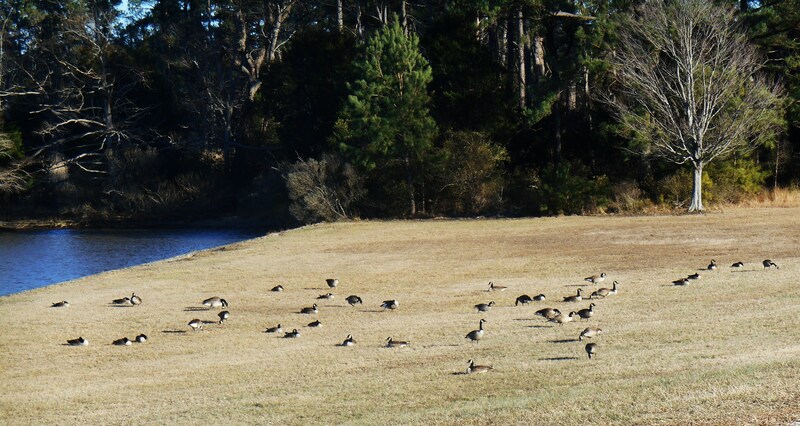 All we found was a small flock or red winged black birds, a handful of geese, and a few white gulls. Everyone else had disappeared on this clear, bright, warm winter day. We think they sense the storm coming out of the north, and have moved further inland. At the least, they have already taken shelter from the wind and snow already on its way. 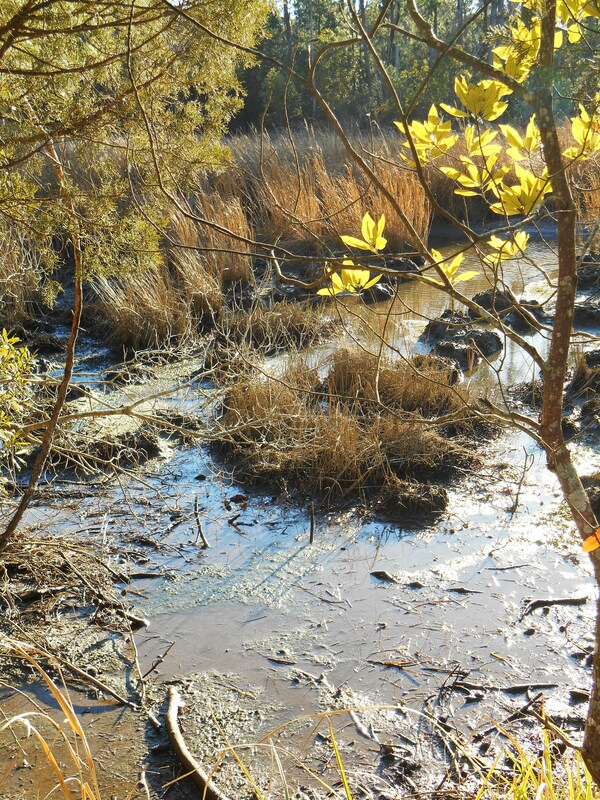 The Colonial Parkway on a spring like January day saw heavy traffic from visitors. This morning dawned clear and mild, but the weather front has crept ever closer as the day has worn on. Our 60 degree temperatures yesterday afternoon will soon transform into frigid teens later tonight. The forecasters still don’t agree on how much snow will accumulate here in Williamsburg, but snow is on the way. 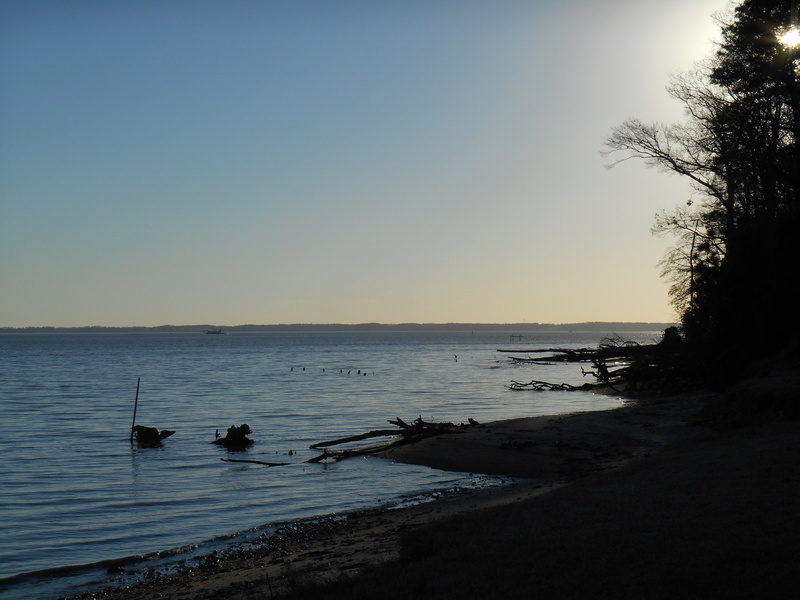 Monday was a beautiful day for walking on the beach of the James River. And the birds must feel the coming change. As the gulls had already flown in from the coast this weekend to our Jamestown marshes, so I’m sure they have moved on elsewhere by now: Nature’s wordless wisdom in action. Sunset Monday afternoon as families loaded dogs and fishing equipment into their cars to head home. One could not ask for a finer January weekend than we have just enjoyed. 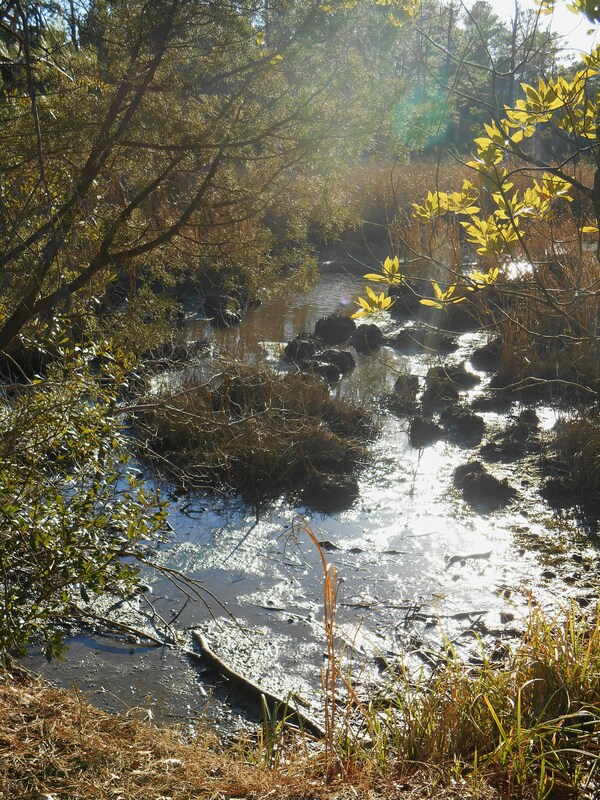 Since we’ve had the opportunity to get outside and be a part of it, I will share a few photos, which didn’t make it into other posts, in today’s Tuesday Snapshots. White tail deer grazing beside the Colonial Parkway ignore traffic. Oregon Grape Holly, Mahonia, won’t be nibbled by deer…. although they may have eaten some of its flowers last week….